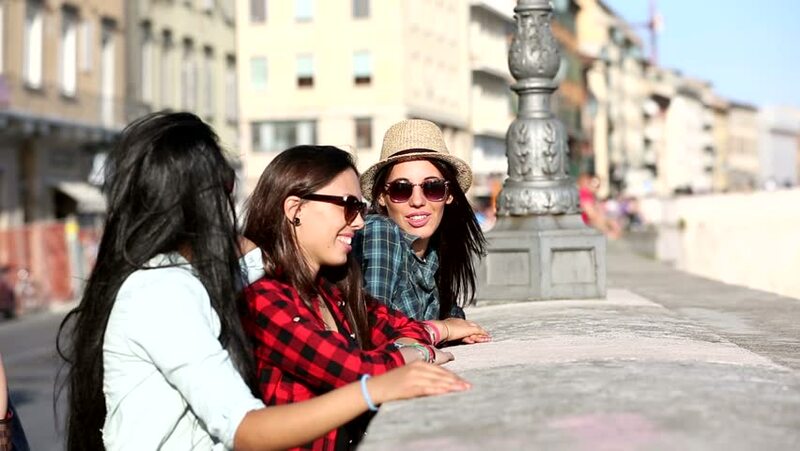 Three happy young women in the city, talking each other and smiling. This is a mixed race group, one girl is half asian and one is middle eastern. Lifestyle, friendship and urban life concepts. 4k00:10Three young women with smart phone in the city, talking and smiling. This is a mixed race group, one girl is half asian and one is middle eastern. Lifestyle, friendship and urban life concepts.